Again the "Access is denied" is not telling us what is the reason behind this. The explanation is that the password change should be done by the user that is subject of this change and if he does not have the permission to do so, the operation will fail. The permission users to change their own password is denied by the attribute "User cannot change password". 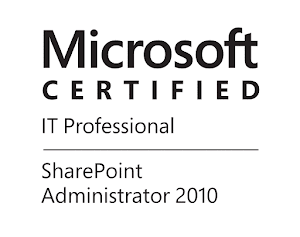 So if you do not have solid reason to do so, do not turn on the "User cannot change password" attribute of accounts that are used in SharePoint. This error is more descriptive, it is telling us what is wrong. Unfortunately, it can be a bit misleading, because you are sure that you are compliant with your password policy and you are still getting this error. Well there is one not so obvious conditions that could lead to this error. The reason is that the password of the account was recently changed. We all know that there is a GPO policy that after certain time will prompt the user for password change, it is a good security practice to keep this GPO policy enabled, it is called "Maximum Password age". "Minimum Password age" and it is enabled by default with value 1 day. This means that if a user change the password, he will not be able to change it again in the next 24 hours from the time of the last password change. If you open your Default domain policy you can find the password policy like this: Default Domain Policy -> Computer Configuration -> Windows Settings -> Security Settings -> Account Policy -> Password Policy. In this case the password of the managed account is different from the password stored in SharePoint, most probably due to a recent password change in the AD. To correct this you first need to know what is the current password in the AD or if you do not know it you may try to reset it again to value that you will be aware of. Then you go to the Central Administration, select change password, mark use existing password, enter it and you are ready to proceed as shown below. Thanks for the excellent analysis. I was confident that my password met minimum specs. Just needed to set the minimum and maximum password age settings on my test domain. You have made me regain confidence in the managed accounts feature of SP2013. Thanks! Gonna link you in to a few Microsoft forums which refer to this same issue. Thanks Will, glad you find this useful!